Aleph Group Inc.: How can a Bloodmobile Expand your Services and the Community? How can a Bloodmobile Expand your Services and the Community? A bloodmobile provides blood donation centers with the capabilities to expand their services to the community to generate more awareness and donations. Mobility and Versatility are key elements for a successful outreach program. Our bloodmobiles are designed for future expansion and adaptability to different situations and conditions. With designs ranging from self propelled to semi-stationary trailers, AGI helps organizations host blood drives throughout the world. AGI bloodmobiles are designed to provide a comfortable environment for blood donors. We offer a variety of options to accomplish this. The optional features include slide out expansion that create an open atmosphere and ADA compliant wheelchair lifts to help donors enter and exit the bloodmobile. AGI bloodmobiles are also manufactured to provide ease of operation. Options to accommodate our client's needs, comfort and convenience include ADA compliance, blood coolers, bed style, leveling jacks, climate control, increased interior headroom and recessed lighting. Each bloodmobile is fabricated to meet your specific needs. We also offer custom graphics to help you brand your unit and AGI offers exterior graphics on all units. 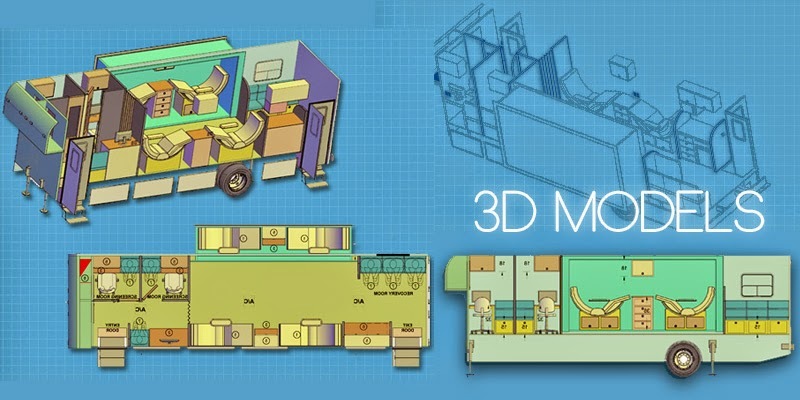 A 3D model of the bloodmobile is presented and reviewed with each customer prior to manufacturing. 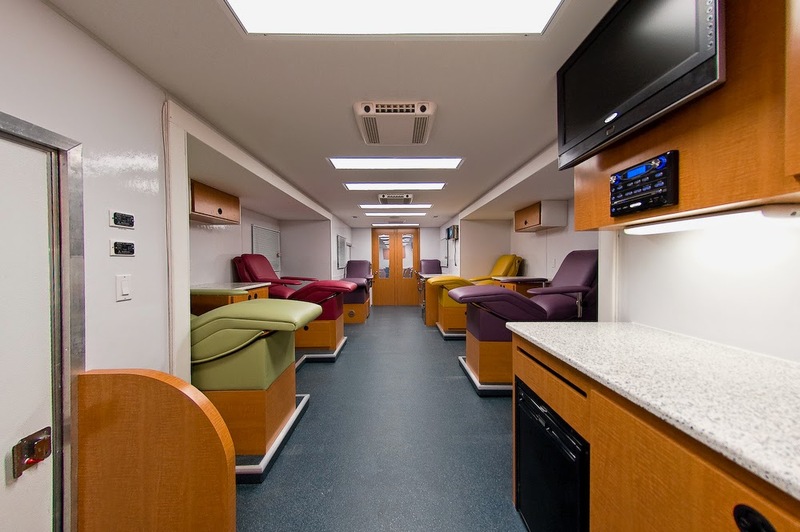 Bloodmobiles come standard with the following features; commercial chassis- popular brands, chassis / body removal for future replacement, aluminum body construction, high grade body insulation throughout, interior headroom 81 inches and recessed fluorescent lighting system. 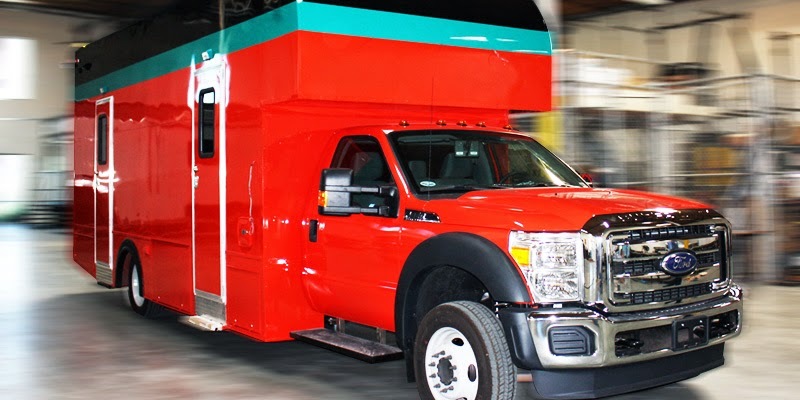 The benefits that go along with a bloodmobile include; tailored designs, custom fabrication, expandable, green energy, low maintenance, user friendly, spacious, storage and lightweight. Aleph Group Inc. is proud to partner with local and world wide blood donation center companies, agencies and organizations to help expand their services, so that they may serve the communities they live in. If a bloodmobile may positively impact your business, agency or organization and the community contact Aleph Group Inc. today. Email us at info@alephgroupinc.com or call us (951)213-4815.